Explore the treasures beyond Santa Fe in Northern New Mexico. 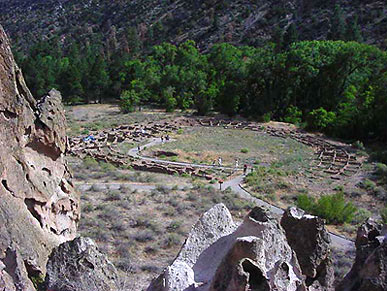 Historic Walks will take you on a journey through enchanting Indian Pueblos, historic and charming spanish villages and through New Mexico's ancient cliff dwellings of the Anasazi. Each tour highlights the indigenous features of their area. From historic weavings to photographs by artist Georgia O'Keeffe and photographer Ansel Adams, Northern New Mexico holds many secrets and treasures of its past ready to be explored. Each tour includes transportation, entrance fees and lunch.